There's nothing better than a plump, juicy roast Castlemead chicken for your Sunday roast. The chicken is looked after by our dedicated team, with fresh bedding and constant access to food and water providing the best welfare standards possible. 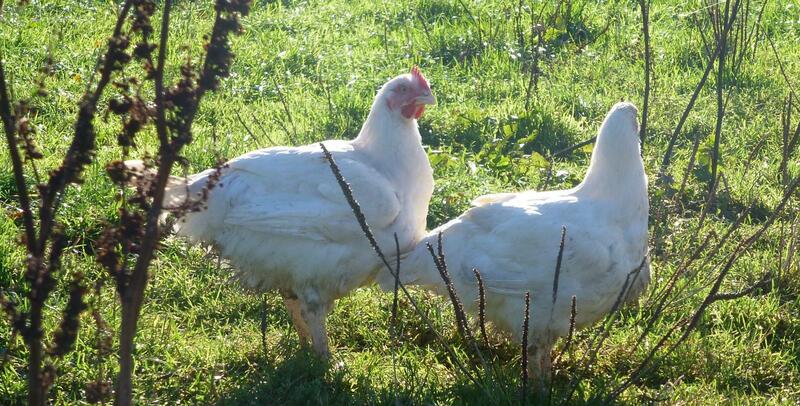 From morning to nightfall the chickens are free to explore the fields surrounding their houses, incorporating natural goodness into their diets to compliment the locally grown and milled cereals they are fed. At night they retire to their houses for protection from the fox and a good night’s sleep. At Castlemead our chickens are allowed to grow in their own time making their meat succulent, firm and rich in flavor. Moved at night to reduce the birds stress levels, the chickens are processed onsite and hand finished for that farm to fork taste. We believe in the values which have been handed down through generations of family farms. Which we think helps produce healthy poultry & game that tastes great. There's nothing more comforting than a delicious home cooked roast; here are our top tips for cooking the perfect roast chicken. Set your oven to 190c/170c fan/gas 5. TOP TIP Use a shelf in the middle of the oven without anything above it. TOP TIP Season your chicken all over and rub with butter. Cooking: Once in the oven, leave your chicken undisturbed for approxiately and hour and 20 minutes. TOP TIP To check your chicken is cooked, pierce the thigh with a skewer. If the juices run clear, it is done. TOP TIP Remove the chicken from the roasting pan and leave to rest for 15-20 minutes.